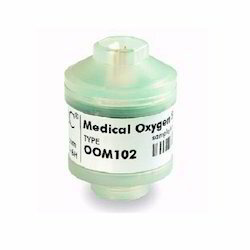 Leading Manufacturer of oxygen sensor for hamilton, oom 202 oxygen sensor, oxygen sensor oom204, drager babylog flow sensor 8410179, oxygen sensor for datex aestiva and oxygen sensor for schiller m15 from New Delhi. In order to fulfill the diverse requirements of our valuable clients, we are involved in exporting, manufacturing and supplying of Oxygen Sensor For Hamilton in Delhi, Delhi, India. With the support of our adroit professionals, we provide our clients high quality Oxygen Sensor. This sensor is manufactured by making use finest quality raw material and latest technology in strict adherence to set industry quality standards. 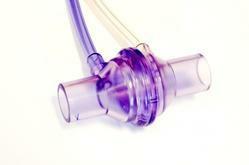 To meet different requisites of our valued clients, we are betrothed in providing an excellent quality Oxygen Sensor. 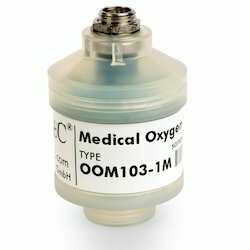 Widely used to measure respiration or production of oxygen. 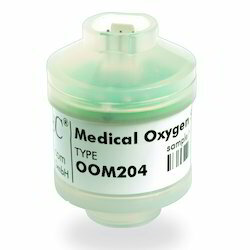 We are counted among the most distinguished organizations engaged in exporting, manufacturing and supplying of Oxygen Sensor OOM204 in Delhi, Delhi, India. This sensor is manufactured by making use finest quality raw material and latest technology in strict adherence to set industry quality standards. 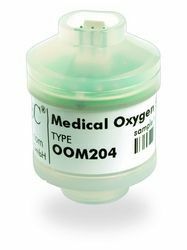 An oxygen sensor is an electronic device that measures the proportion of oxygen (O2) in the gas or liquid being analysed. According to the needs and demands of our clients, we are engaged in exporting, manufacturing and supplying of Oxygen Sensor For Schiller M15 in Delhi, Delhi, India. With the support of our adroit professionals, we provide our clients high quality Oxygen Sensor. This sensor is manufactured by making use finest quality raw material and latest technology in strict adherence to set industry quality standards. 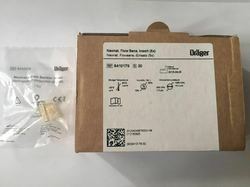 We offer a wide range of Drager Flow Sensor. Due to extremely fast and accurate measurement results, as well as extremely low inspiratory and expiratory resistances, it is clearly superior to other sensors. 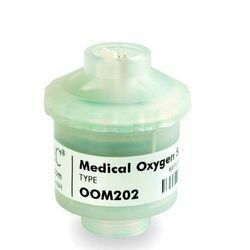 Leveraging on our rich industry experience in this domain, we are engaged in exporting, manufacturing and supplying of Oxygen Sensor For Ohmeda 7800 in Delhi, Delhi, India. 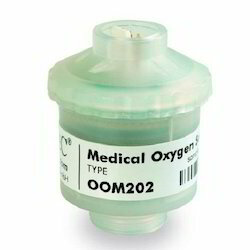 It measures the proportion of oxygen in the gas or liquid being analysed. Sourced from the renowned vendors of the industry, this sensor is designed with utmost care as per the industry set standards. Quality is the main aim of our firm hence we assure our clients that this sensor is stringently tested on numerous parameters by our vendors’ quality experts. Leveraging on our rich industry experience in this domain, we are engaged in exporting, manufacturing and supplying of Oxygen Sensor For Air Liquid in Delhi, Delhi, India. With the support of our adroit professionals, we provide our clients high quality Oxygen Sensor. This sensor is manufactured by making use finest quality raw material and latest technology in strict adherence to set industry quality standards. Supported by vast business knowledge, we are indulged in exporting, manufacturing and supplying of Oxygen Sensor For Penlon in Delhi, Delhi, India. 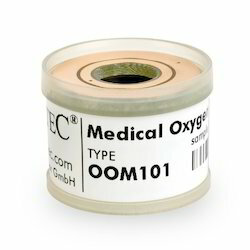 It measures the proportion of oxygen in the gas or liquid being analysed. Sourced from the renowned vendors of the industry, this sensor is designed with utmost care as per the industry set standards. Quality is the main aim of our firm hence we assure our clients that this sensor is stringently tested on numerous parameters by our vendors’ quality experts. Being a client-centric firm, we are occupied in providing a distinct collection of Oxygen Analyzer Sensor. 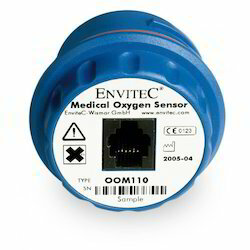 Since our origin, we have become the well-known firm of high quality Envitec Oxygen Sensors. Fostered with immense years of industry experience, we are involved in exporting, manufacturing and supplying of Respiratory Gas Sensor 1000470 in Delhi, Delhi, India. This sensor is made by electronic engineers who have deep engineering knowledge. All these products are light weighted and completely active in gas detection. 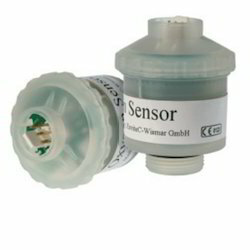 Moreover to this, these sensors are quality tested at our firm with the use of safe material that is expert recommended. 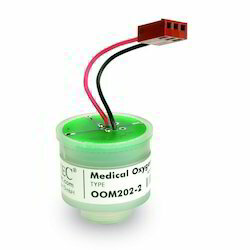 Owing to the efforts of our qualified professionals, we have been constantly involved in exporting, manufacturing and supplying of Oxygen Sensor OOM204 in Delhi, Delhi, India. This sensor is manufactured by making use finest quality raw material and latest technology in strict adherence to set industry quality standards. Backed by rich industry experience, we are engaged in exporting, manufacturing and supplying of Respiratory Gas Sensor 07-00-0001 in Delhi, Delhi, India. 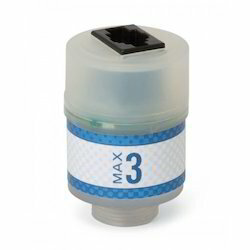 This sensor is made accessible in sundry stipulations for achieving the customer’s satisfactions. 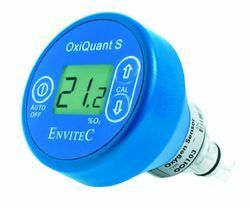 The given range of sensors is made by our consistent vendors who use top quality components along with the market standards. Vastly consume in commercial sectors, this sensor is inspected under the observation of quality experts.